The holiday season is fast approaching. Folks are already making plans for their Thanksgiving feast. Retailers around the country are decorating for the holidays. Okay, maybe it’s a bit early. However, it is not too early to start stocking up for the holiday sales rush. Most of us, if not all of us who are in magic started out with a magic set that we found under the Christmas tree or as one of the gifts we received during Chanukah. The point here is, that we were introduced to MAGIC at a very magical time of the year! 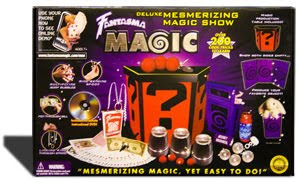 We learned cups and balls, ring on string, card effects and in some cases if you were lucky enough to get one of the bigger sets, a mirror box. We would spend hours entertaining our aunts, uncles, grandparents and siblings. As the months would pass and the weather warmed up, we would create magic shows in basements or backyards and treat the neighborhood kids to all the tricks we now had perfected. Those early shows, performed with a towel wrapped around our necks as a cape and our grandfather’s hat to serve as a top hat, introduced us to the one thing that we loved to do... Perform magic. As the holiday season approaches, wouldn’t it be a good thing to pass those wonderful feeling of being able to amaze and fool family and friends with magic on to the next generation? MAK has over thirty magic sets in stock. 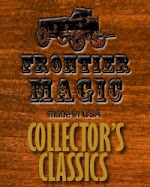 From Pocket Magic Sets, of which there are twelve, to the Ultimate Magic set with over 300 magic tricks. Check out the selection and get them onto your List for the holidays!